All businesses need to run promotions of some sort, whether it be word-of-mouth, outrageous video advertising or simple flyers you hand out. The age-old question is, when is the best time to do this? Are you looking to sell to more customers more often, or are you looking for each customer to purchase more items? Are we trying to boost sales during hours normally not as busy? Being in the retail business isn’t easy. The competition is fierce, and there is always giants in the industry like Amazon, eBay and more. How do you compete? If you know your target audience, and you can time your promotions right, you can beat out even the giants of the industry. 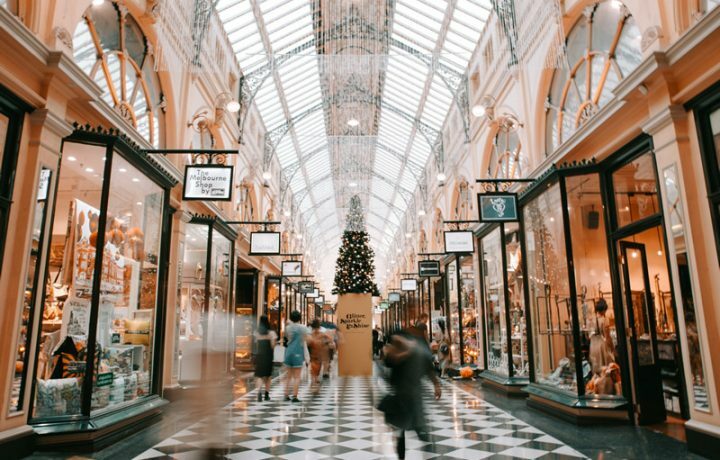 According to Shopify, here are three retail sales promotions techniques that are like the three Sankara Stones in the Indiana Jones movie. Using the techniques above has surely helped many businesses over the years stop the bleeding and turn things around. How often are you asked “are you a rewards member”? Should be all the time if the business is in the know. Everyone likes a sale. This engages a customer’s psyche making them think that they are “getting a deal.” The question is though: what do you discount? If you mark down something that traditionally is always on sale, you may not see the same result as if you marked down something that is never on sale. Remember the rule of ending prices in a 9. If you are running an online-only business, you still can use the same technique as the brick-and-motor stores. Most major shopping frameworks recognize these tactics and have them built-in. Nothing is better than seeing something out of the box. Think about checking out cars at an auto show, or just inside an auto dealership. They look awesome and very enticing to customers, even ones not even looking to buy a car. Isn’t that the feeling that you want to deliver to people coming to your business whether it’s online or not? Free Samples: This is a surefire way to build demand for any new products that you may have recently added to your store. Giving away free samplers of certain products invites customers to use them at no cost and though they may not reach for the full-price version right away, you can be sure they’ll think about it the next time they visit your store.. If you are online-only, you can still do the employ the same practices as seen in the brick-and-mortar stores. Ever buy anything from VistaPrint or Godaddy? Those two web-only giants use the “Speed Bump” methodology on every purchase. Sure, you go to Godaddy to get a domain, but then when you’re trying to check out, they push “Private Registration”, “Website tonight” and a slew of other products in your face when you just want your domain. That is just one example of these time-tested tactics being used online. Are you a part of our loyalty program? No, would you like to sign up? That is what we hear all the time. If a frozen yogurt company is doing it, why aren’t you? It’s a little investment from the business, but you get rich demographic data of your customers which allows you to tailor your business model and really know who you’re doing business with. Online, these are membership accounts that receive daily or weekly specials. The business-to-consumer communication is primarily done by way of email marketing which is by far one of the most cost-effective ways of communicating with your customer base. Email marketing is an effective way to drive customer retention and loyalty and starts as quickly as when you collect customer’s email as they checkout, and then email them about exclusive sales, discounts, coupons, and other promotional offerings for a limited time period. Unless you have a photographic memory and can remember every statistic that you see, you need to be tracking your progress. It is the only way you will be able to see gains and losses of marketing efforts to promote your business. Use Google Analytics to measure your traffic as a base for analytic reporting for your website. If you have a hybrid brick-and-mortar store plus online business, make sure you are getting as much demographic data from your on-premise location(s) as you can to mash up with your online Analytic data from your website. This way, you can have a more clear picture of your customer-base because chances are, it is different online and offline.